The rocketry division of Space Concordia is participating in the Base 11 Space Challenge, a $1 million race to develop the world’s first civilian liquid-propelled rocket to go to space. Since its inception in 2010, Space Concordia has won several national and international competitions, including two first-place prizes at the Spaceport America Cup in 2018. 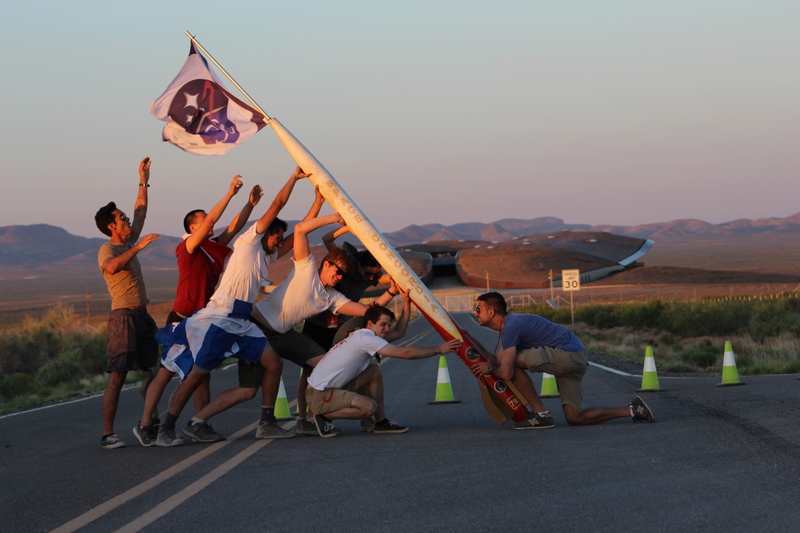 The student society consists of over 200 students from various academic fields who are separated into the spacecraft, robotics and rocketry subdivisions. Today, the rocketry division is taking on its biggest challenge yet: going to space. The Base 11 Space Challenge is a competition that encourages students to be the first to design, build and launch a liquid-propelled rocket to an altitude of 100 kilometres. This altitude is referred to as the Karman line, which represents the boundary between Earth’s atmosphere and outer space. Schools across North America are competing for the chance to make history and win $1 million in prize money. If Space Concordia is successful, they will have built the most powerful amateur rocket motor in history. The first phase of the competition recently passed in March. Students produced a document of their designs for the rocket, its safety plan, as well as an outreach and diversity strategy. Space Concordia students are currently in the testing phase. They have built parts of the rocket and are preparing to test their engines. The most prominent challenge the group faces is their lack of funding. Space Concordia is financed through sponsorships and donations. However, even a fraction of the project can add up to thousands of dollars. Despite the obstacles they face, Space Concordia students are hopeful and determined to accomplish this milestone feat. The competition is the biggest challenge the rocketry division has ever taken on, and the team is working hard to achieve their longtime goal of launching a rocket to the edge of space.